Apple unveiled iOS 7 today at their WWDC 2013 Keynote event, and of course there’s a lot to be excited about in the upcoming new version of iOS. I’ll collect my thoughts a little and share some on iOS 7 a little later. One thing I wanted to comment on right away is how iPad seemed very much in the back seat during all of the talk about iOS 7. 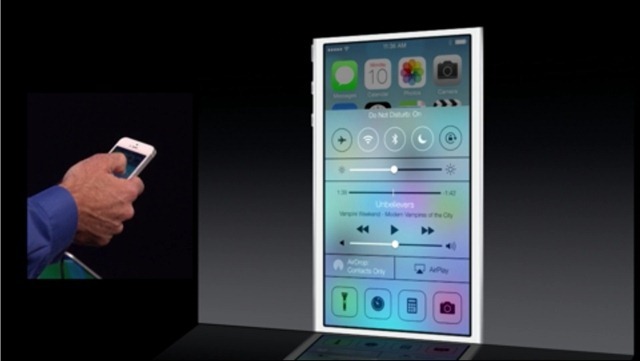 Almost every image shown on slides and in demos was an iPhone image. The iPad got an almost in passing sort of mention towards the end of the iOS 7 section of the event – something along the lines of ‘and of course all these features will come to the iPad too’. More importantly, the first iOS 7 beta for developers is out today for the iPhone; while the betas for iPad are expected ‘in coming weeks’. It almost feels a little like the iPad was relegated to a second class citizen compared to the iPhone today – which is pretty odd considering that the iPad is the device that still has a dominant market share and seemingly more momentum than the iPhone. I reckon the iPhone is really struggling against the competition whereas the iPad does a lot better against the competition. Apple have to regain the phone market. Actually, what I heard him say was iOS 7 was coming to the iPad 4. And this really aggrivates me because I have the 3 which as you know is only a little over a year old. Come On Apple!!!!! Someone tell me if I’m wrong. Paul – what I heard and what the iOS 7 page says is that it requires iPad 2 or higher, though it alos mentions that not all features of iOS 7 will work on all devices. I think you should be fin with the iPad 3, which I also have. What’s going on?! I posted my comment before Paul and Patrick posted theirs, yet it’s still “awaiting moderation”. All I was saying was that I would have liked to see iOS 7 running on the iPad cos I don’t have any other devices that’ll be able to run it. Sorry Rowan – you previous comment is now up.